Bought a 50" plasma tv made by Viore from Walmart.com.2 1/2 months ago. Started have trouble with it and called Viore who said it was a pixel problem that could not be fixed. We had to ship it back to them from Ala. to CA! Freight charges would be about $300 which is almost what we paid for the set. AND it would take 5 7 weeks. Walmart will not exchange is because it has been more than 15 days. Will never buy a Viore product again and never order from Walmart.com again. We live in a small town where it is hard to avoid shopping at Walmart but I will do my best never to set foot in that store again. Review #201719 is a subjective opinion of sherlockfan. I bought 3 Viore televisions in various sizes from Walmart in the last 2 years and have not had a single problem. I went from a satellite service to a roof antenna and the picture is beautiful on all three sets. I am quite pleased with my televisions and Walmart's service. My Viore caught fire from the inside out. Do Not risk this happening when you are not home. Luckily, I had just gotten home. I wrote the original complaint. After 5 months of phone calls back and forth, Viore sent a repairman to replace parts twice which did not work. I was then told to ship the old one back. Called Viore and reminded them they said I wouldn't have to pay for shipping. Long story short - I have a replacement tv finally that is actually a better model than the one I bought. I bought a Viore TV in Dec. 2010. It quit working April 2011. Because it could not be fixed, I had to ship it to California AT MY EXPENSE. They have a policy that a tv will be shipped to replace the broken one within 2-4 wks. It has been 6 wks and they keep giving me the run-around. I will never buy from Viore again! They will not e-mail me or call me back about the status. I am going to have to report them to the Better Business Bureau. I find it fishy herein - that a large number of Viore complaints, like mine, are related to having the TV drop dead without rhyme or reason. In my case in less than 3 months and having turned it on only on Saturdays to watch cooking shows. Viore must be inundated with complaints. I have now been on hold with their agents - several times over - for nearly a 1/2 hour. Probably other complainers. Caveat Emptor on Viore. 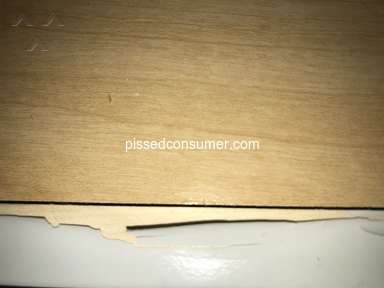 I also purchased a 32" Viore from Walmart.com & it nearly caught fire. It's still under factory warranty, but cannot seem to get the repair done. I'm not sure how one would repair a tv that got so hot it nearly burned down my home.The repairman has had it 3 for months. NO MORE Viore for me!!! policy is 15 days. walmart did nothing wrong. walmarts tv did not break your issue is with Viore. Televisions have a 90 day return policy, regardless if they were purchased in store or online. If you have a receipt and its within that time frame then they have to take it back. If you are not well received then call 1-800-WalMart. Your complaint does get rerouted back to the store, but if they fail to resolve it you can contact the same number and insist that your letter be escalated to Market Manager (we call these Letters to the President). The MM is the next step above a Store Manager. You could simply ask to speak with the Store Manager most of the time they would rather make it right for the customer. Sherlockfan I am requesting to receive email notification in regards to this posting. Please post again and share your experience once you try these steps, I would like to help you to see this resolved! Well then bend over and take whatever they give you if you won't learn. 20 miles isn't that far. The reason it's hard to avoid shopping at Walmart is because I live in a very small town. There is only one grocery store besides Walmart and there are no dept. stores. If you want to drive 20 miles to the next town you have a choice of stores but not here. Your complaint is with Viore, not Wal-Mart. Wal-Mart has a 15 day return policy and after that you must deal with the manufacturer. All other stores are the same. Wal-Mart did nothing wrong. It's hard to avoid shopping at Wal-Mart? I would love an explanation on that. I find it rather easy not to shop at stores I don't want to. I'm surprised you have a problem with a major TV manufacturer such as... Viore?